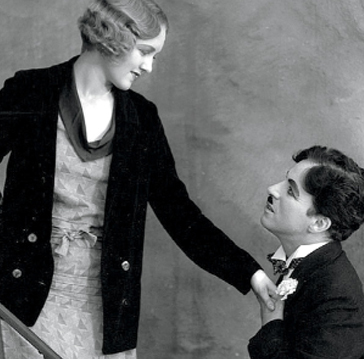 City Lights follows the misadventures of Charlie Chaplin’s Tramp, as he falls in love with a blind girl and develops a turbulent friendship with an alcoholic millionaire. Chaplin schemes every way he can, to get money he can use to help the blind girl re-store her sight. Along the way, we’re treated to hilarious episodes of the Tramp’s invention, daring, and seat-of-the-pants determination to save the day. From the boxing ring to the millionaire’s mansion and back to the street, Chaplin unfolds his comic magic to delight audiences of all ages. In 2007, the American Film Institute ranked City Lights 11th on its list of the best American films ever made. In 1949, the critic James Agee called the film’s final scene “the greatest single piece of acting ever committed to celluloid.” Chaplin made the picture in 1931, after the advent of sound. But he remained committed to his distinctive form of silent physical comedy and because he co-owned United Artists, with Douglas Fairbanks and Mary Pickford, he could buck the system and do as he pleased.